In August 2013, police in Pendleton, Oregon, arrested 23-year-old Lukah Probzeb Chang (also known as Danny Wu) for murdering one young woman and attempting to murder another. Lukah grew up on a North Carolina farm and his father was the pastor of a Baptist church. He was homeschooled and also attended a private Christian school his senior year from which he was expelled. In 2006, his family moved to Thailand for a year as Christian missionaries to set up a church in a refugee camp. After being expelled from private school his senior year, he joined the military. He served in the Marines at the Marine Corps Base Camp in Pendleton, California but deserted his post as of July 9, 2012. He then moved from his home in Oceanside, California, turning up in Oregon. On August 14, 2012, Lukah stabbed a 19-year-old motel maid, Amyjane Brandhagen, to death. Almost a year later, on August 9, 2013, he attempted to beat another woman, 53-year-old Karen Lange, to death with a metal pipe. Karen was jogging on a public jogging path. Police were originally at a loss to solve the motel murder; DNA, however, linked the motel room to the pipe used in the jogging attack. 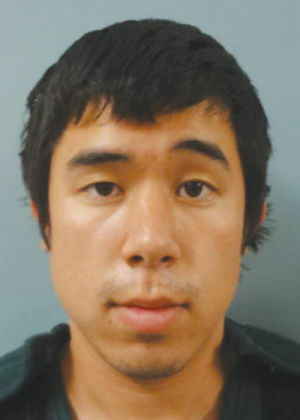 Video surveillance from the jogging attack identified Lukah, then known as a homeless person who went by “Danny Wu.” Lukah decided to hide at the Pendleton Convention Center, where two food service workers discovered him in a kitchen and reported him to the police. Lukah pleaded guilty to both murder and attempted murder and was sentenced to prison for 35 years to life. He will be 58 before he can ask the Oregon Parole Board for reassessment.